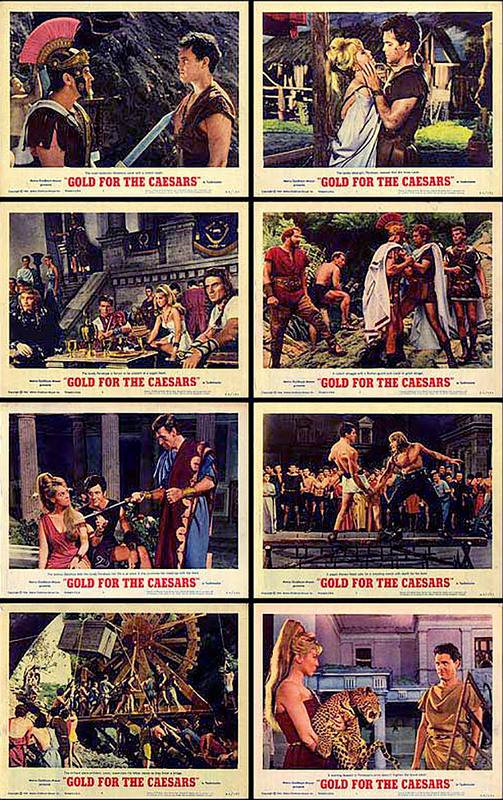 US lobby cards set for GOLD FOR THE CAESARS. Very good set. Covers pretty much everything. No close-ups of the actors but there are two cards with Jeffrey Hunter and Mylene Demongeot which is good. Above average.